Happy Holidays from Apple Graphics Inc. 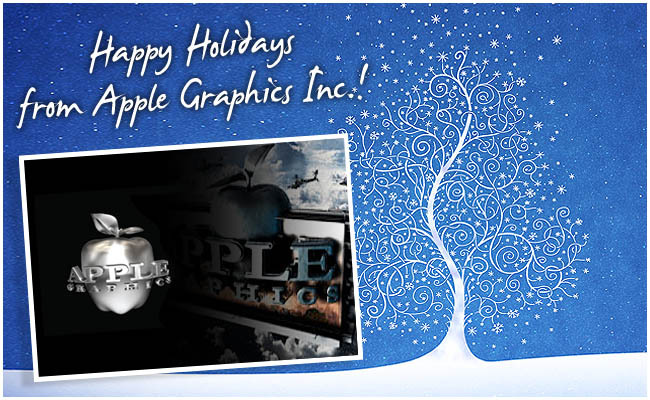 The year 2009 has been a great one for Apple Graphics Inc.
We would like to wish all of our friends, clients and associates a Happy Holiday Season & a Prosperous New Year! We thank you for the business and support this year and are looking to make 2010 even better!